Why Is the United States Risking Involvement in Possible War Crimes? This Congressman Wants to Know. Representative Ted Lieu is one of the few people in Washington asking tough questions about US involvement in Yemen. Lieu, a first-term congressman from Southern California, knows a thing or two about international law. He’s a colonel in the Air Force Reserves, and during his four years of active duty he was a military prosecutor in the JAG Corps. He taught the Law of Armed Conflict to fellow military personnel. Why Is the United States Abetting Saudi War Crimes in Yemen? The Saudi coalition’s declared targets are Houthi militants who launched a government takeover and sparked a civil war, but the collateral damage has been extreme. Human-rights groups have documented at least 70 unlawful airstrikes that hit schools, hospitals, funerals, and agricultural centers. Over 10,000 civilians have been killed and famine is ravaging the populace. The United States has been a willing partner in this coalition, supplying jets, bombs, and fuel to these missions. That makes the country complicit—morally and perhaps legally—in what appear to be deliberate war crimes. “This coalition has struck hospitals four times, including a Doctors Without Borders hospital that caused that organization to leave the northern part of Yemen. They have struck wedding parties, civilian markets, [and] schools. According to one of these [human-rights] reports, they designated one entire city as basically a target, and you can’t do that under law of war,” Lieu said. The United States isn’t directly bombing anything, but their material support to the Saudi coalition might still implicate them in war crimes under international law. The international war crimes trial of former Liberian president Charles Taylor expanded what is considered a war crime, because the U.N.-backed court found that “practical assistance, encouragement or moral support” can determine liability. The United States has already invoked the Taylor ruling in its case against Khalid Sheikh Mohammed, to strengthen its argument that he was complicit in the September 11 terrorist attacks. Last month, Reuters reported that internal State Department memos were raising serious questions about the Taylor ruling in particular and US legal liability in Yemen in general. But the department still went ahead with a $1.3 billion arms sale to Saudi Arabia. He then peppered Kerry and Carter with a list of questions he wants answered: Do they dispute human-rights groups’ reports of airstrikes on civilians? Did the United States at any point participate in target selection and review? And what steps are being taken to comply with the Law of Armed Conflict? He also asked if the United States specifically fueled the planes that struck a school and a Doctors Without Borders hospital this year. 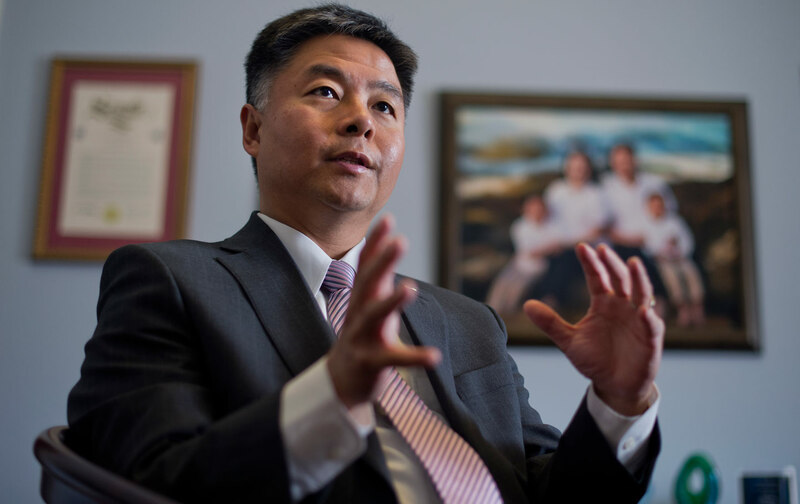 Lieu is waiting for answers, though if recent history is a guide, they may not be forthcoming. It might help if he was not one of the few people making these inquiries.